My skin recoiled the moment I heard those words from my wife. I was always worried that this might happen; one day we might fry ourselves in our own oil. But nay, this was not possible. If Ebola had managed to get past our borders, then pigs could fly. All arms of my government were busy as bees ensuring the virulent virus does not sneak into our country. But then the Secretary of State herself, my wife Cathy, couldn’t be joking about such a grave issue. “Cathy, it can’t be! Are the media aware yet?” I demanded to know. My head twiddled upon hearing the statement. The Oval Office suddenly seemed to swoon on its ceiling, as I involuntarily dropped the secure line’s phone in a daze. It was bad enough for an American citizen to contract Ebola, but it was tragedy to all mankind if the most powerful man on earth succumbs to the disease. “That will be forty-five minutes, see you then.” The line went dead. For what seemed like eternity, I could not move a muscle. I sat upright and like a mannequin, my eyes were transfixed on one object atop my desk—Cathy’s picture encased in a golden frame. My mind conjured images from 17 years ago, when I had first met Cathy in Minnesota during my halcyon days as an advocate. She served as the magistrate there, and our paths crossed when I represented a high profile client before her court. I lost the case, but ended up winning the jurist’s heart somehow. Our love blossomed amid the infertile rigours of the law which we both practiced with the aptness of violinists. Many are the times that Cathy resigned from adjudging my clients due to conflict of interest. She later nudged me to join politics alongside her, a proposition I flatly refused. Politics is a dirty game and I didn’t wish to stain my character. On her very first dip into the political cesspool, Cathy was elected Senator. During her inaugural term in office, the electorate loved her to bits. She had the looks, the pedigree, the brains—the entire kit and caboodle! Her success made me soften my stance against politics. I eventually caved in to her constant badgering and successfully ran for congress in my home turf. Cathy’s fantabulous career was catapulted further when she was elected Congress Speaker. When we later tied the knot, Americans thought it was but a farce; a political gimmick. That was absolute cockamamie. I married Cathy because I wanted to spend the rest of my life waking up besides her every morning. However, I can not deny the good our marriage did in terms of endearing us to the American electorate. For within two years of our marriage, I was elected POTUS (President of the United States) and wasted no time in appointing my aptly qualified wife as the Secretary of State. “What does all this have to do with Ebola?” I can hear you ask. Be patient darling, because what I am going to reveal to you is a real doozy—a true bombshell. Hold on to your seat and put your head in a swivel, because it will spin. Goodness!Am getting impatient!What happened?? ?…Nice art in suspence! 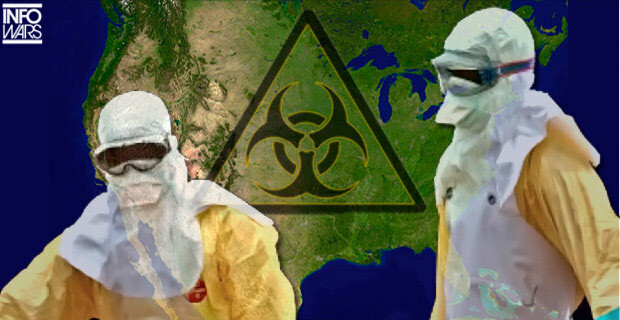 ebola, ebola at the whiteouse, minesotta, president of the united stes, protus, united states, white house. Bookmark.